Lately I have been having a tough time coming up with awesome posts for you guys, so I decided to open up guest posts to my sponsors to get some new things flowing around here. Nothing is more awesome than someone opening their new shop! and now I've found her! So check out her shop and her blog and everything else because she is amazing! Hey everyone! 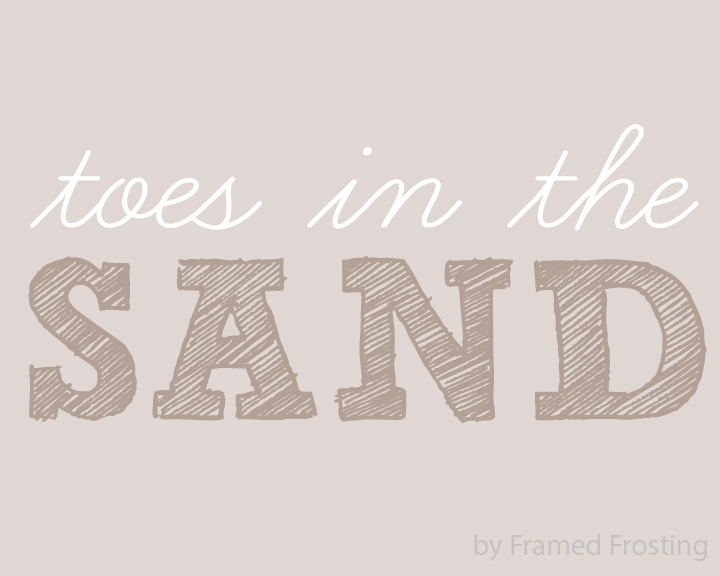 My name is Danielle and I blog over at Framed Frosting. I am so thrilled to be here today to share with you a new project I've been working on! About Me: I first began my blog in April of last year as a way to document the end of my high school years. Now it has evolved to be about all things fashion and beauty related. I love to bake too and am hoping to include some more recipes on the blog soon along with some fun DIY projects too. ------------------------------------------------------------------------------------------------------------------ So a few weeks ago, I had this fabulous idea to combine my love for baking and typography. It just so happened to work out that my blog name, Framed Frosting, worked well with the new shop. I've been working on quite a few designs lately and I LOVED how they all turned out. So it got me thinking... I wonder if I could open my own shop? I figured I'd give it a try first over at Society6. This website is fabulous because they do ALL of the printing and shipping for you! This means that I have a lot more time to spend designing. 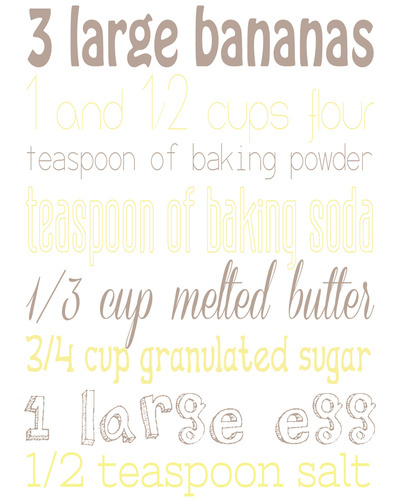 In my shop you'll find me selling recipe art prints like my favorite, Best Ever Banana Muffins, seen below. These recipes are ones straight from my own kitchen and are sure to be quite delicious when you make them! Everything from Gingersnap Cookies to Cashew Brittle and so much more! I'm also selling a few home decor prints. My mission is to create every piece unique and make sure it has a simple, yet sophisticated look. 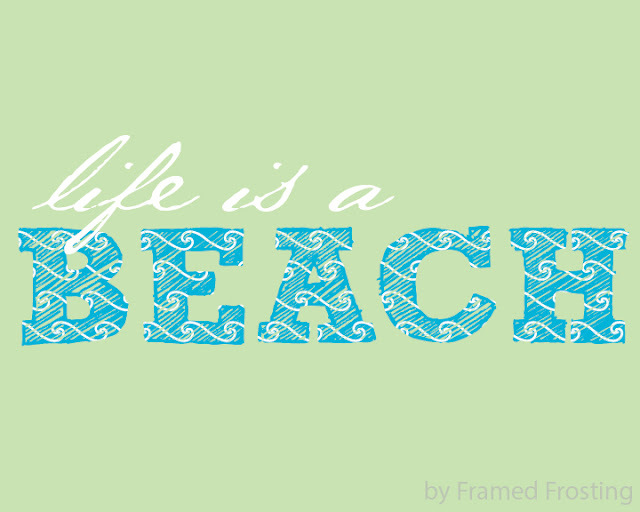 I'm currently having a lot of fun with summertime beach prints. Toes in the Sand In the upcoming weeks, I'm hoping to launch my Storenvy shop where I'll be able to offer a lot more prints. I'll also be able to offer custom prints. These will be a little bit more expensive than a pre-made, but they will be much more personalized. You'll get to pick your quote or recipe and the colors you'd like me to use too. I plan on offering three sizes: 5x7s, 8x10s, and 11x14s. If you're interested in your own custom print, please find me on Twitter or send me an e-mail. I'd be more than happy to work on something for you. Just let me know what you have in mind. You can also find me blogging about fashion and lifestyle here or on Facebook too.